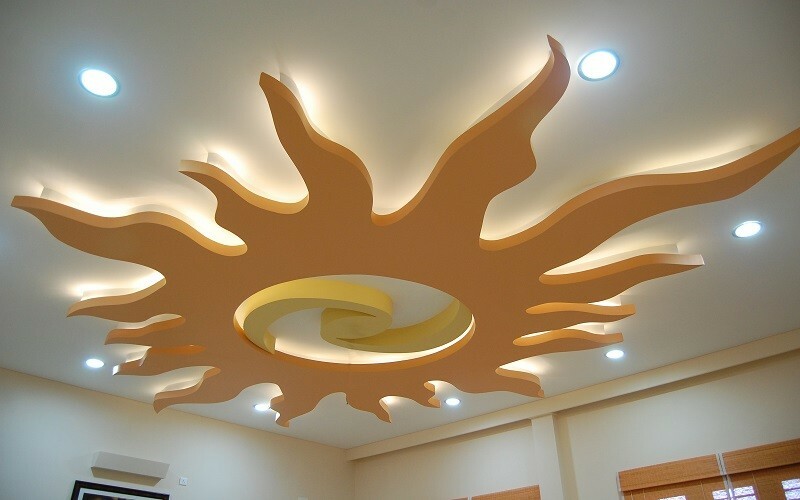 POP ceiling design is one of the latest home and garden trends in the world, and it’s incredibly popular in Nigeria. 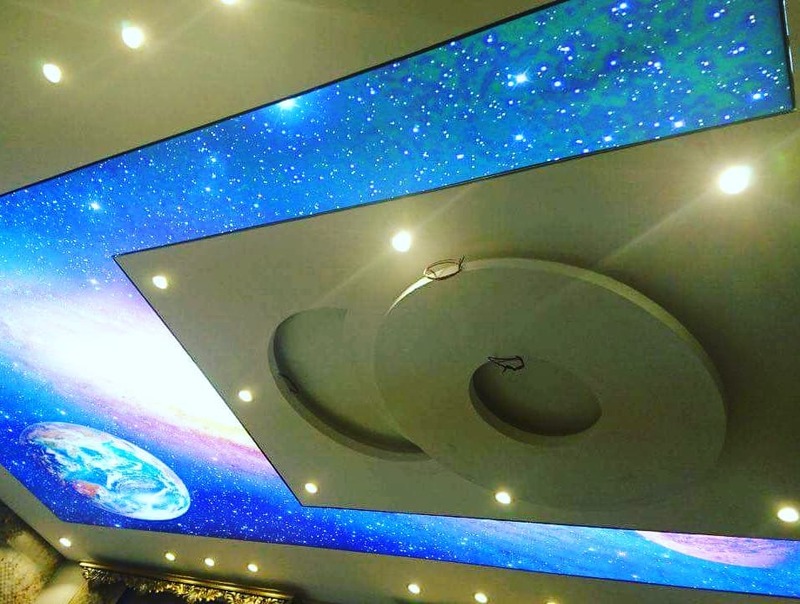 With hundreds of latest POP ceiling designs, home decor gets nearly endless opportunities for improvement. 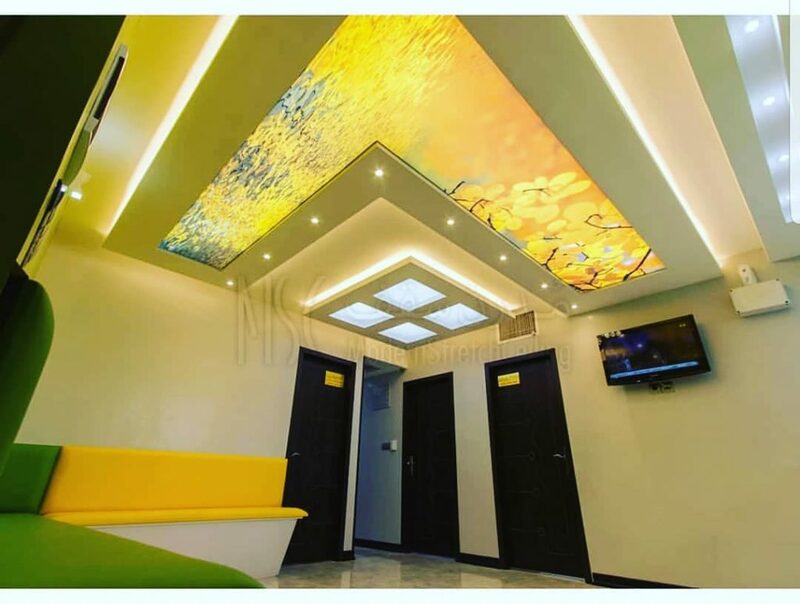 Check out the best POP ceiling design photos in Nigeria! 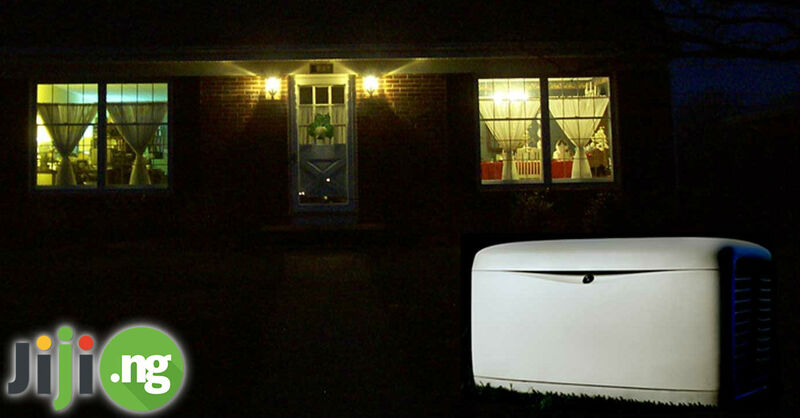 The gypsum in the POP ceiling gives the construction a glossy, luxury finish that fits many interiors. 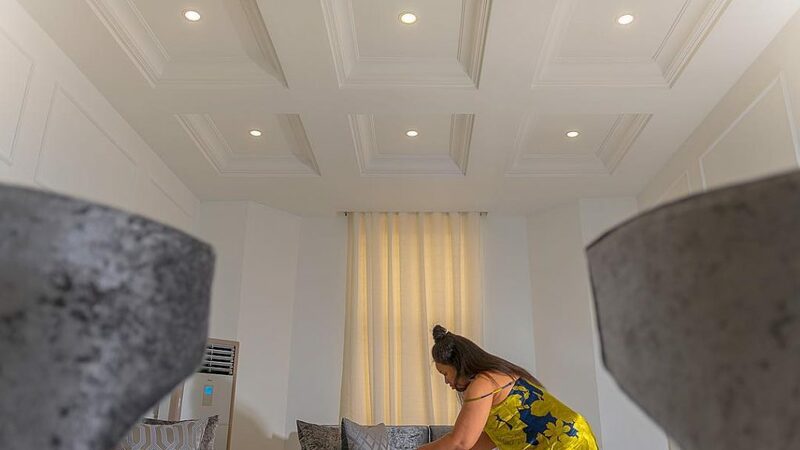 POP ceilings give the homeowner and the designer nearly unlimited opportunities for being creative, which you will see in the beautiful POP designs for living room in Nigeria. 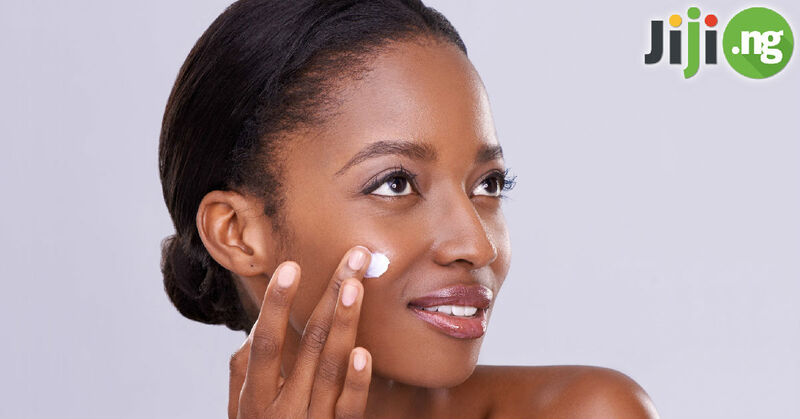 Even after it is completely dried, POP is not prone to shrinkage, which means it won’t crack after the application. Despite being very lightweight, POP ceilings are very durable and can withstand light physical impact. 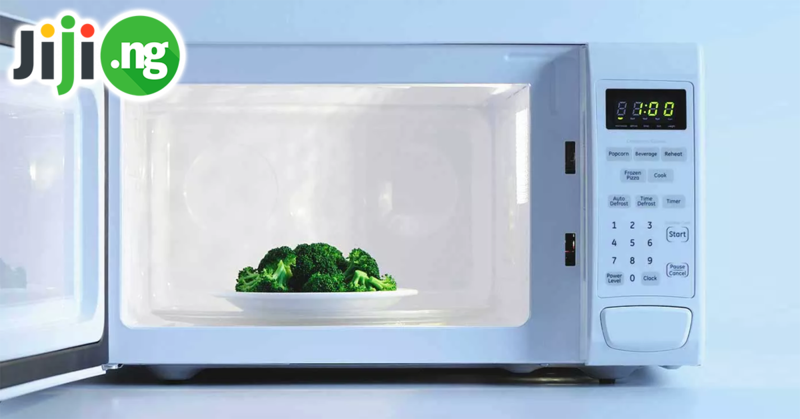 POP ceiling is able to absorb sounds, which is why it’s often used in rooms where there is a lot of noise. The price of POP ceiling in Nigeria is higher than cement and other materials; plus, it requires expensive skilled labour for construction. Due to gypsum not being water resistant, POP ceilings cannot be used in outdoor designs or anywhere where there is a high level of moisture. 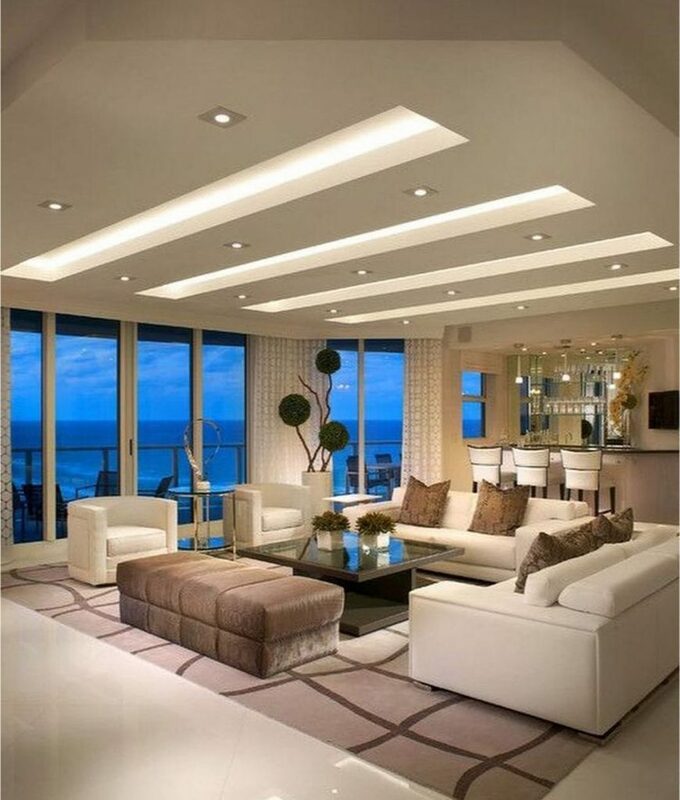 Most POP designs for living room include a lot of volume, which can make the room appear lower and smaller. In order to always look presentable, POP ceilings need to be regularly cleaned with special solutions. 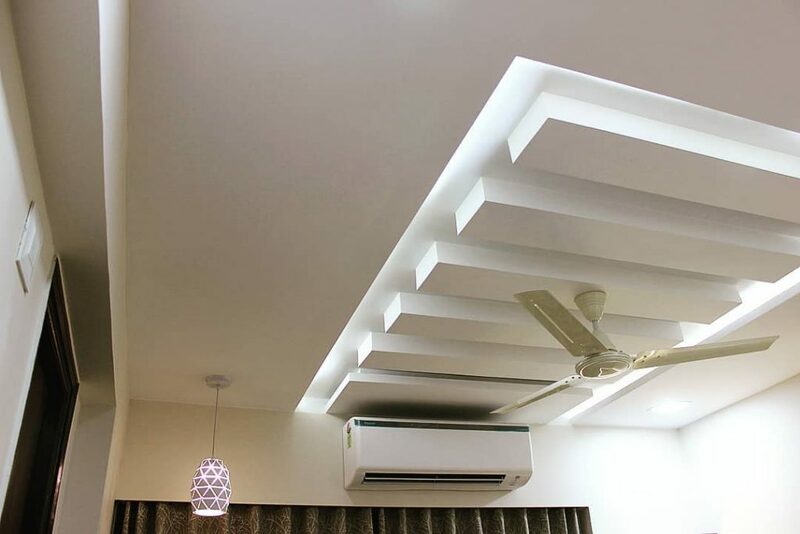 POP ceiling designs are available in every colour and pattern imaginable, but white ceilings remain the most popular option for simple pop designs for living room. 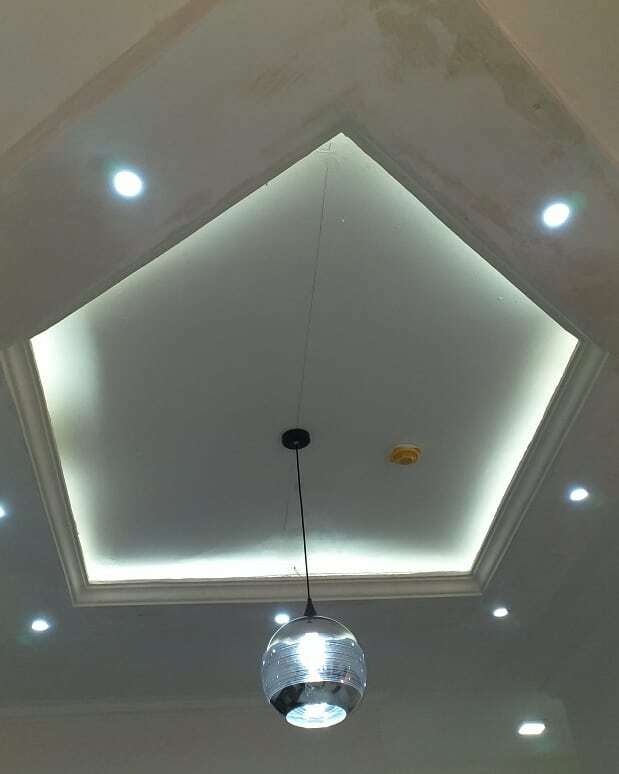 Designing the ceiling around the lighting fixtures is a nice touch that gives the room a completed look and makes your light design stand out. Playing with various geometric shapes is always a good idea for home decor, especially when you’re dealing with smaller spaces. 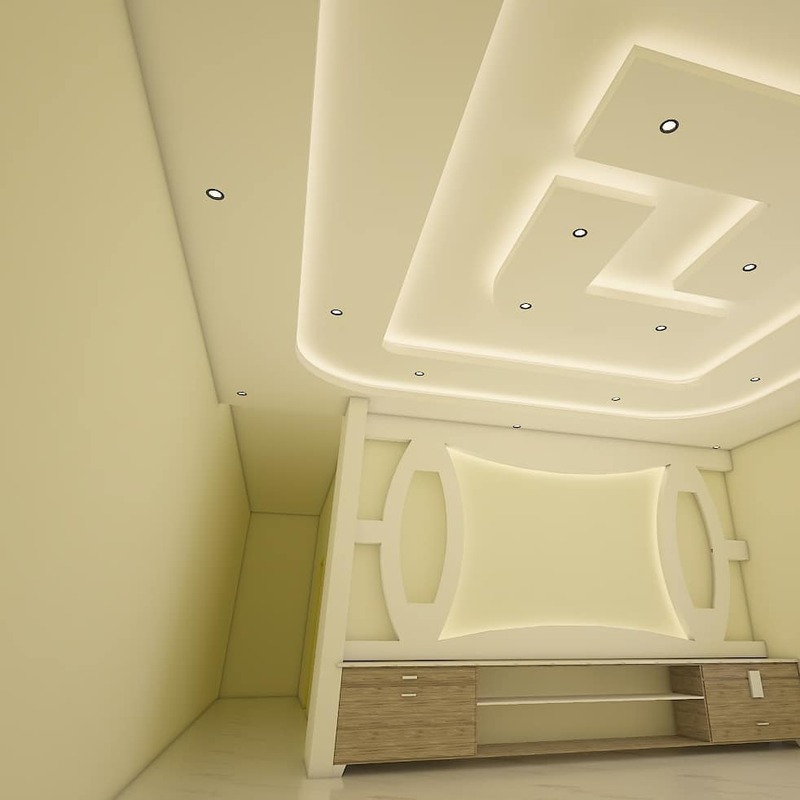 You can use the ceiling design as the centerpiece if you place it directly above the most important point in the room. 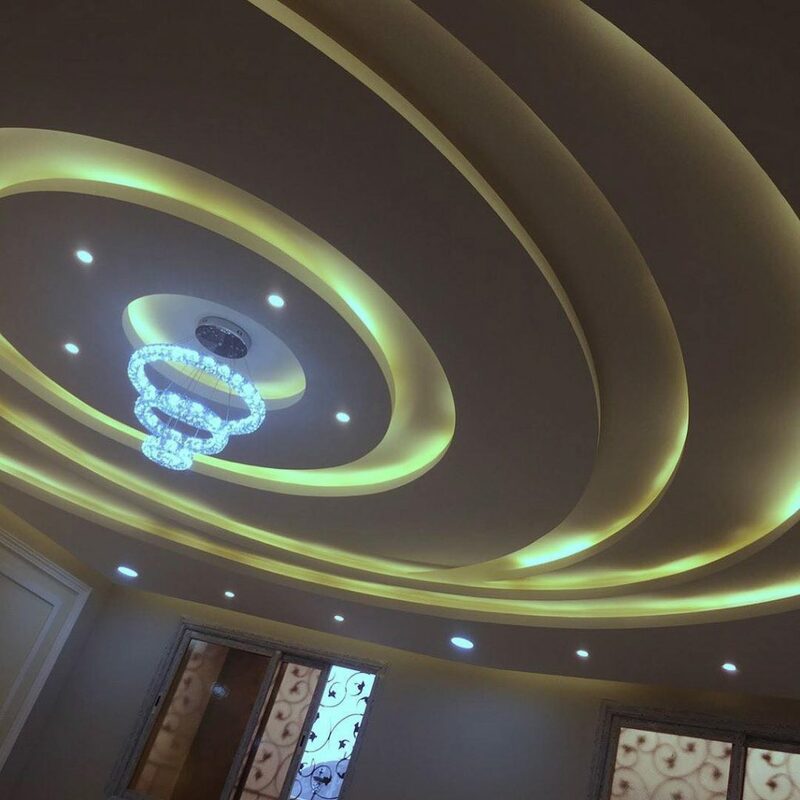 A circular POP ceiling design visually makes your room appear larger and adds volume to the space. 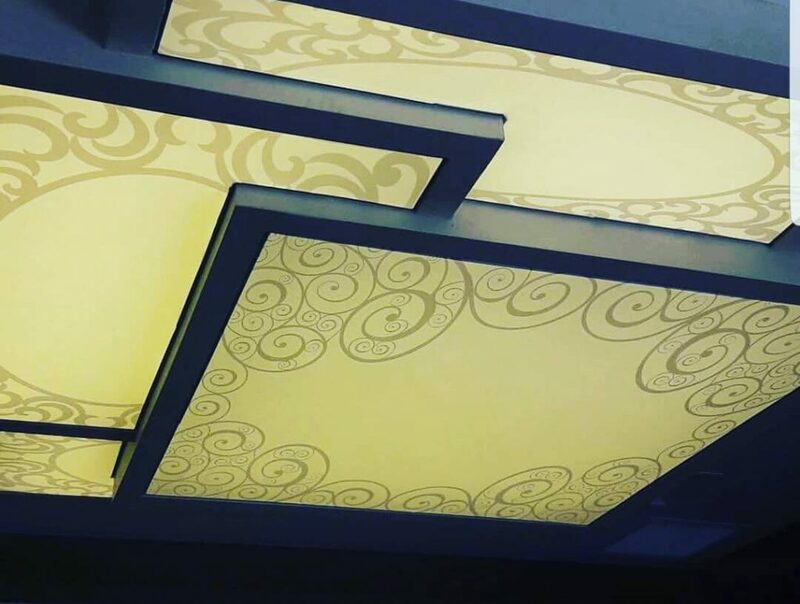 The lighting fixtures in this POP ceiling design look very delicate, but they will give your room enough light even for the darkest time of the day. 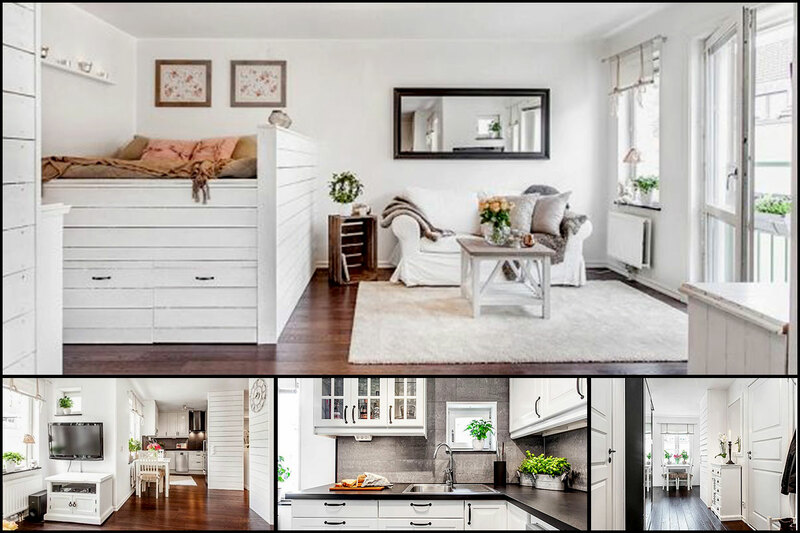 If you want to draw the attention of everyone who walks into the room to your ceiling design, go for bold shapes and innovative lighting! 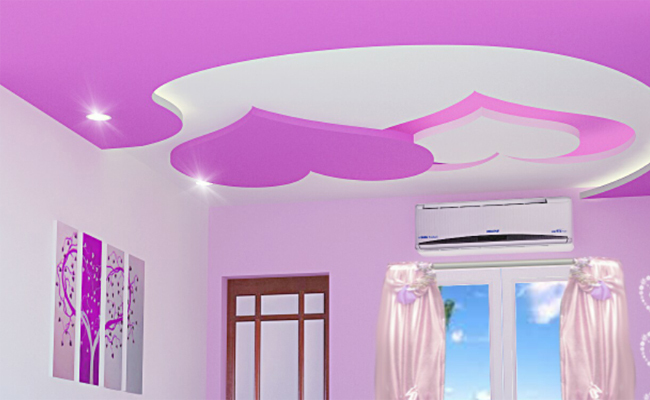 Many POP ceiling designs in Nigeria feature colourful patterns, and a night sky pattern is an ideal choice for a bedroom or nursery. With a bright and cheerful pop of colour in the ceiling design, your kitchen or living room will look fantastic even on gloomy days. A classy ceiling pattern can completely match the wallpaper design or act as a standout design piece. If you’re not afraid of bold colours for your POP ceiling design, check out this dreamy and modern option.